One must follow guidelines for the group: kind, positive, honest, no soliciting, selling or coaching. We offer a 30 day money back guarantee should you be unhappy with the Service in your FIRST month of membership. You may also cancel your monthly subscription at any time by email. Due to the nature of the Service, no refunds will be made for any membership fees already paid, excluding the 30 day money back guarantee as stated above. You Can Have Confidence...almost immediately- with the right mind and actions steps! Learn how to reach your goals and dreams by establishing a mind that creates results! Learn the Miracle Garden Formula. Learn how to easily navigate through self judgement & fear and clear blocks that are keeping you stuck. Receive The Divine 9 Visualization for healing and evolving! Learn the Mental and Physical Habits to evolve & solidify the Pure Confidence Formula! 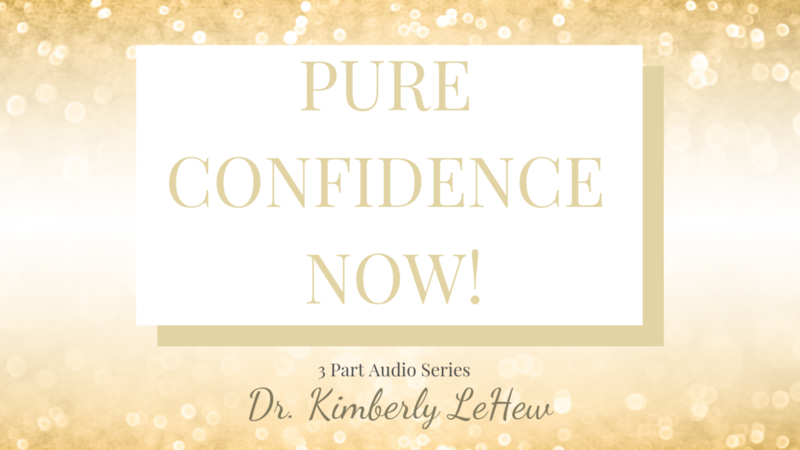 Join me in this 3-part audio series to finally get the confidence you have always wanted. You have everything inside of you now! Let me help you discover how to bring it out of you with joy and ease!